It's SRC time again! Each month, as part of SRC, we're assigned another blogger, and we get to pick a recipe from their blog to make. This month, I got Smells Like Brownies, where Melissa shares a plethora of delicious eats, both sweet and savory. I saw some winter squash recipes perfect for this time of year - garlic chili lime acorn squash and some butternut squash, goat cheese flatbread pizza. Yum! (Especially since one of my favorite flavors is chili lime.) I also checked out her dad's poached eggs. I'm always looking for other ways to make things! However, the food I've really been craving (and meaning to make since, oh forever) is hummus. 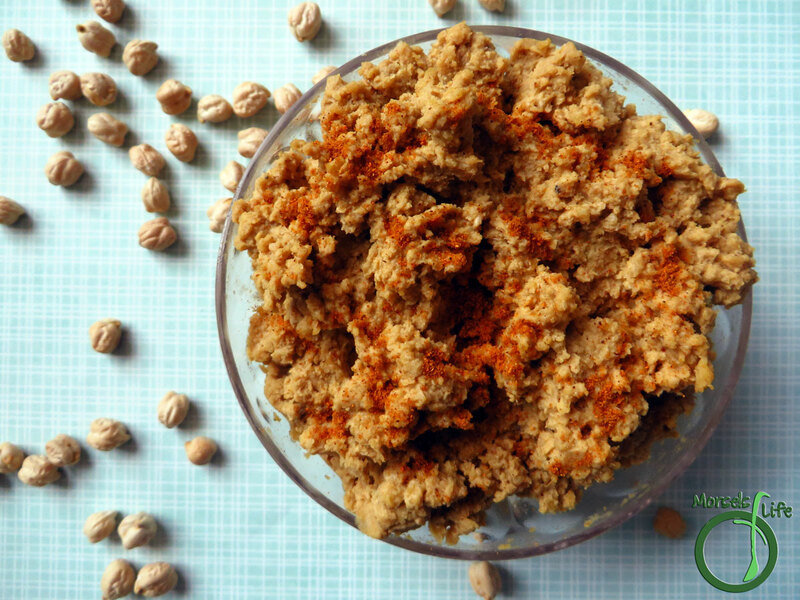 As luck would have it, she's got a yummy recipe for creamy hummus! I only made a few minor modifications to her recipe. I used dried chickpeas, which I then cooked instead of a can since we prefer dried. I also used a whole lot less cumin since I'm not a huge fan of the flavor. Next time. I'm likely to use a bit less tahini as well since I thought the tahini flavor overpowered the hummus a bit too much. Even with the half cup of tahini, we enjoyed this creamy hummus. What are some of your favorite hummus flavors? A simple and creamy hummus with chickpeas, garlic, tahini, olive oil, and a bit of lemon and paprika. 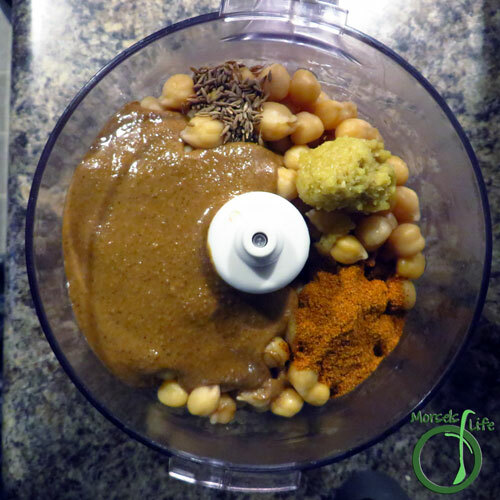 409 grams 14.375 ounces chickpeas, cooked I started with 1 cup of dried chickpeas. 2. Combine all materials in food processor. 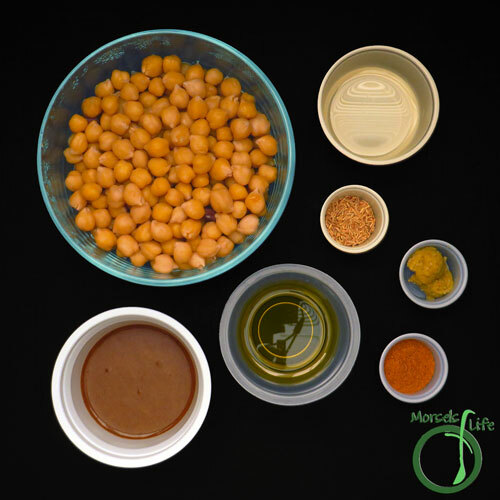 Process, adding liquid from chickpeas or water, until desired consistency reached. I love to snack on hummus! Great SRC selection. Thanks, CJ. What a great recipe! Hummus is so addictive! Love this recipe and the pictures you've taken! Great SRC post! 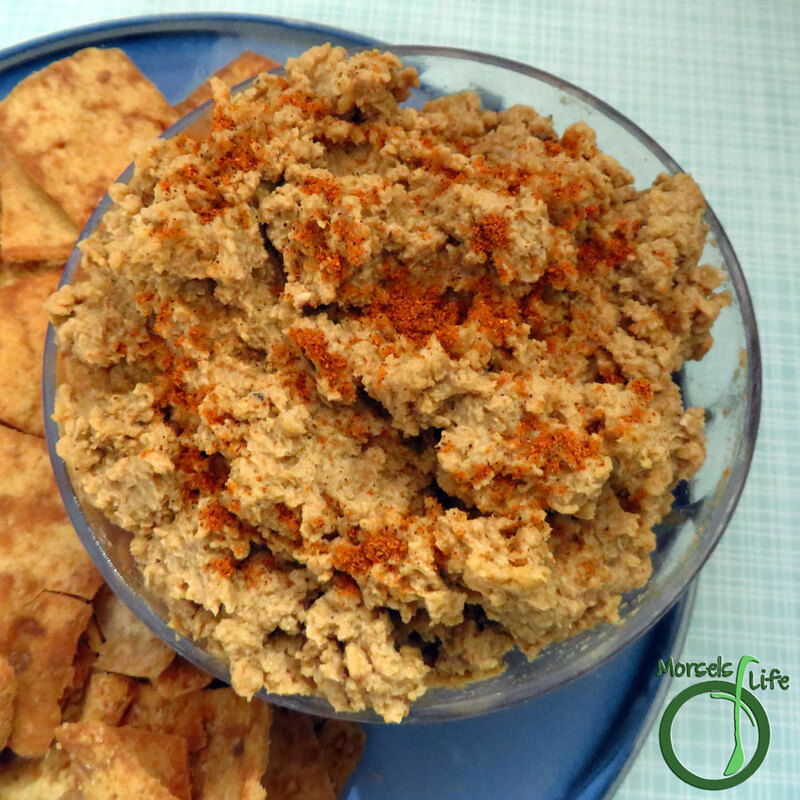 Hummus is absolutely one of my very favorite snacks...and homemade is so much better than store bought! Great choice for SRC! I love hummus and haven't made it in a while. Great choice! You definitely need to give hummus a try! 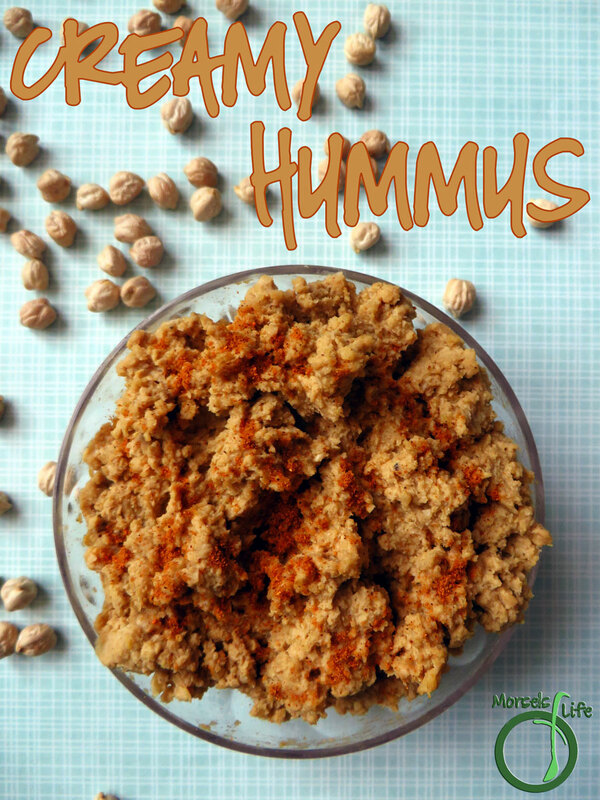 I love Hummus and this looks delicious! A great pick for the SRC!